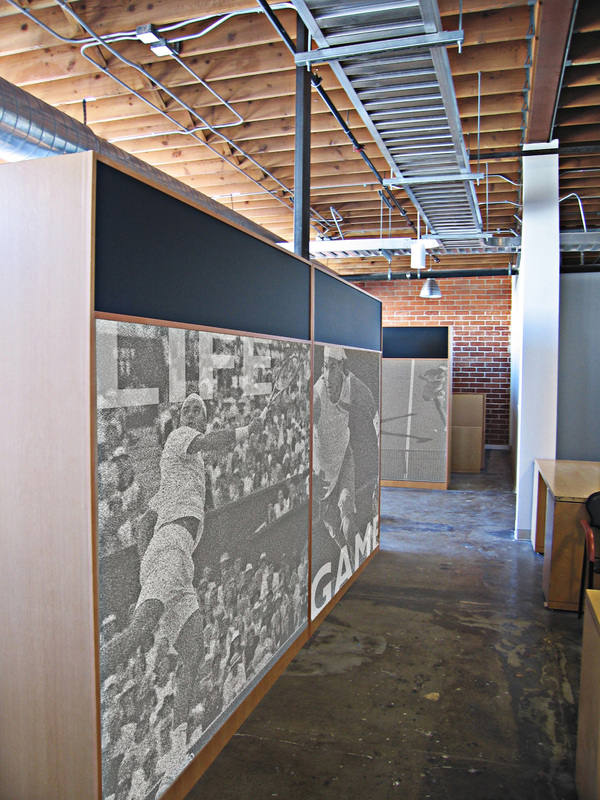 Located at the intersection of Main Street and Pico Boulevard, this interiors renovation and exterior upgrade was designed for the Tennis Company; publisher of Tennis Magazine. The 8,000 square foot space includes conference rooms, a full kitchen, work stations for 30 staff members, and semi-private offices along the perimeter of the space. 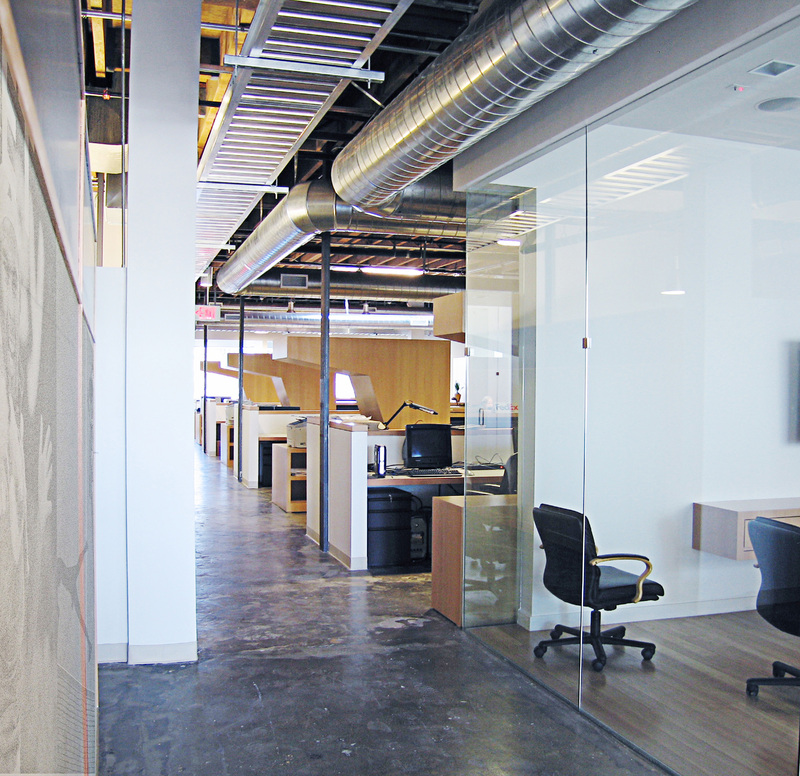 A predominantly open environment of flexible work spaces allows for the flow of natural light. The utilitarian design of exposed beams, brick walls, and ducts preserves character and produces built in cost-efficiency by using fewer materials.